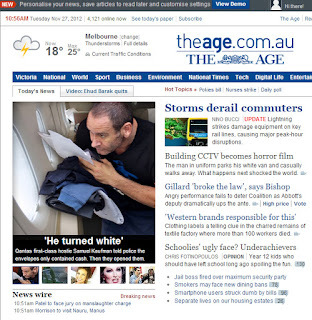 Is it just me, or is this front page photo on theage.com.au highly problematic? The picture makes out that the subject, former Qantas steward Samuel Kaufman, is seated in an aircraft looking guiltily out the window, as if he might be wanting to make a fast getaway with an armful of (what could be) envelopes of contraband. He actually appears to be in the act of committing a crime. The accompanying write-off with the picture reads: "Qantas first-class hostie Samuel Kaufman told police the envelopes only contained cash. Then they opened them." Kaufman is actually ducking as he leaves a building - the caption says "pictured in March" - and trying not to draw attention to himself. Either way, he is not obviously in the act of committing a crime nor is he about to be apprehended by police. 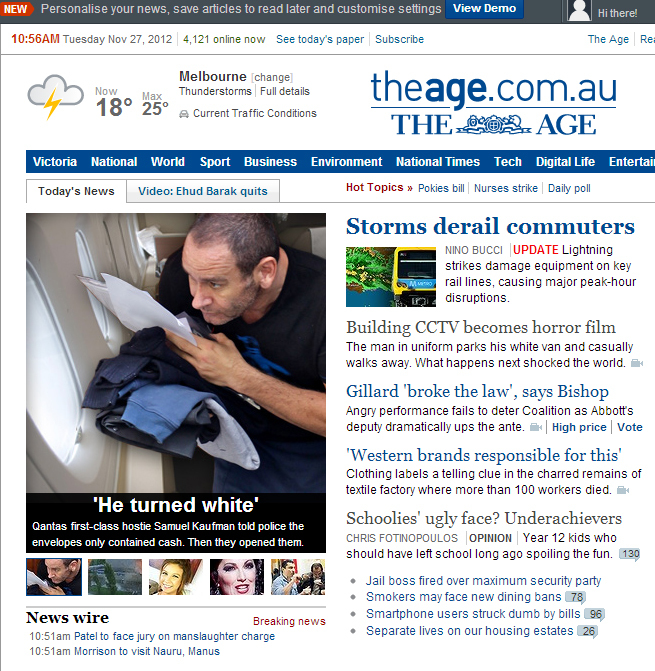 The most generous interpretation of the doctored front page picture is that it is misleading. Others may be more vigorous in their criticism. 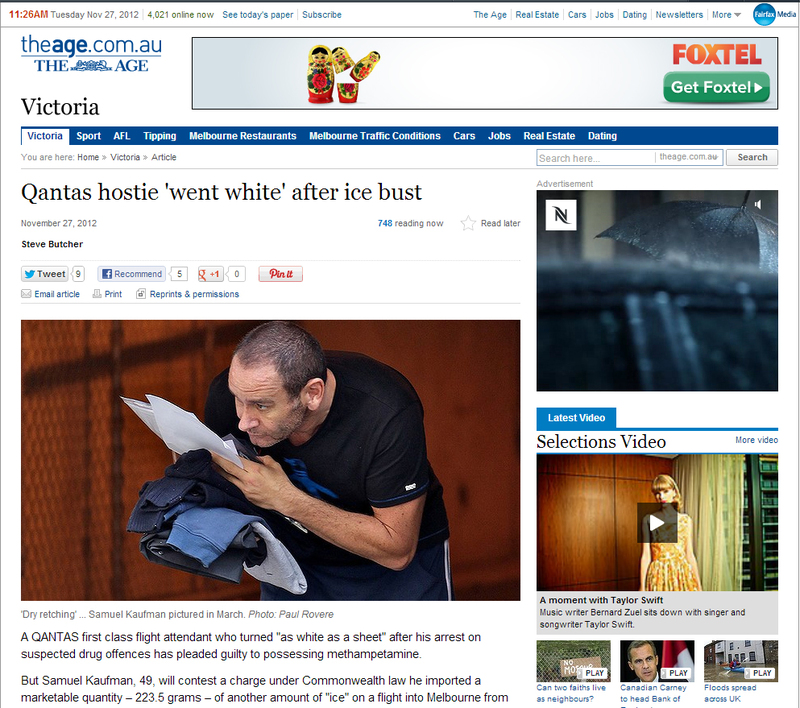 It's certainly a very poor piece of editing by theage.com.au. And not what you expect from quality media that is soon to start charging for access.